The most unique storage bins available. This double open hopper bin provides front and back access to stored parts. bin into four sections. 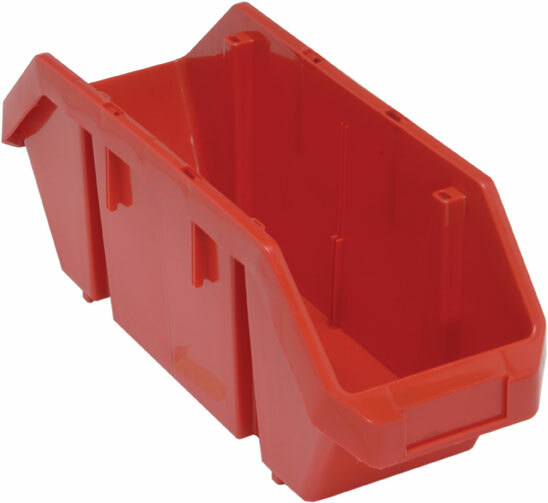 A molded in label holder on both the front and back of the bin allow for easy parts identification. Bins can be used on standard metal or wire shelving as well as on desks, bench tops or work stations. Available in 6 sizes and in 3 colors: Blue, Yellow and Red. This unique bin has the ability to stack, nest and cross stack.